For you who want to use Windows 8, you can try it right now. Microsoft officially launched Windows 8 Operating System Installer that can be downloaded for free to developers, this called “Windows 8 Developer Preview”. 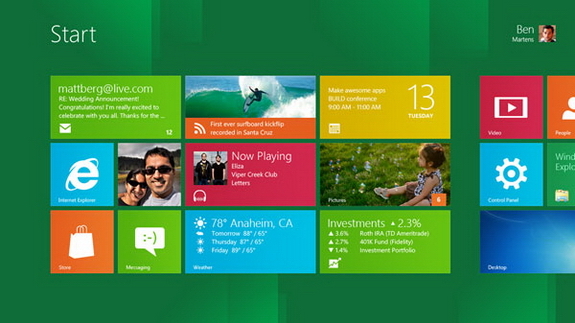 There are so many changes done on the interface, and there are some newest features added on Windows 8. On the new interface named “Metro UI Style”, Windows 8 seems very indulge touch-screen users. No more shortcut icons on the desktop. For now, start page is filled with boxes contains applications and option contents, just like the Windows Phone 7. 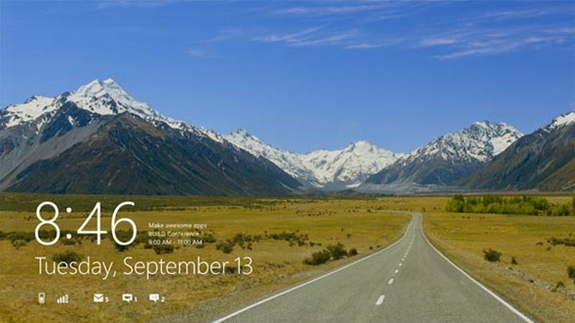 Windows 8 is designed by Microsoft to address the development and growth of the tablet PCs and PC with touch screen. Windows 8 Platform is universal, the interface will remain the same on any devices, either it is 10 inches tablet, laptop, or even on all-in-one PC with 27 inches high definition. Microsoft calls this “One Windows-many shapes”. Since Windows 8 OS is designed also for touch screen usage, Windows 8 included two types of virtual keyboard: full-sized keyboard with bigger keys; and thumb keyboard that is more unique and simple.